Puff, puff, toss with The Bloom Brand Super Lemon Haze ONE BLOOM ONE. All the delicious, lemony terpenes and Sativa-dominant effects of Super Lemon Haze are ready to be enjoyed, then tossed when you’re done. 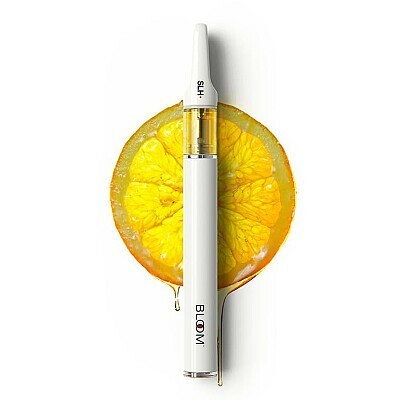 The Bloom Brand’s easy-to-use disposable vaporizer holds 300 mg of premium, ethenol-extracted Bloom Oil with 70% THC concentration.